We consider learning in a fun and enjoyable atmosphere the most effecting and engaging way of working with young learners. 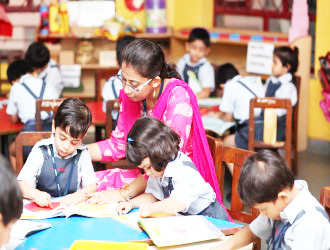 Our teaching methods are carefully chosen to ensure good progress. Our communication and 'hands-on' methods use the most up-to-date techniques. 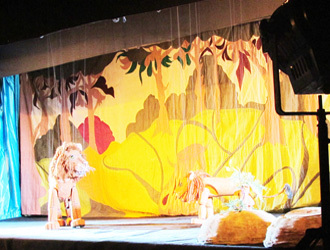 Every day, in the morning as well as in the afternoon, the Circle time activity period is conducted where the children by the means of discussions, story narration, puppet show, role play, show and tell, question and answer sessions and quizzes are exposed to different monthly themes, life skills, moral values and ethics. 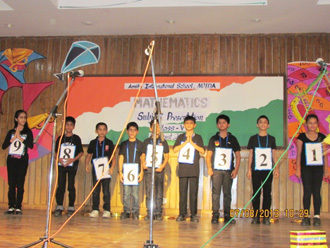 This activity further helps in strengthening the bond between the teachers and the students. Assemblies, especially at the pre-primary level, are another powerful means of inculcating good moral values and enhancing their knowledge. 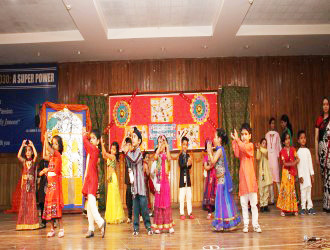 During this, the children are exposed to various aspects of life. 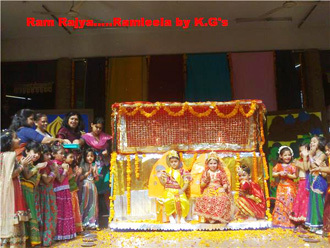 Many theme based parties and celebrations are organized at the school such as Rain Dance Party, Beach Party, Janamashtami Party, Grand Parents Day, Republic Day Party etc. 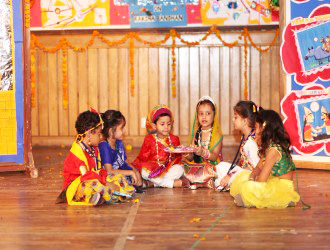 These help the children understand the significance and traditional values related to various festivals and inculcate respect for our culture, customs and religions. 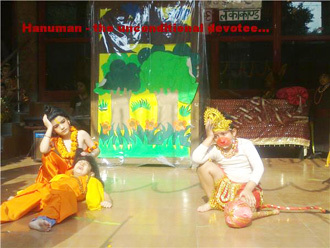 These hold the children's attention, interdisciplinary learning model is adopted. 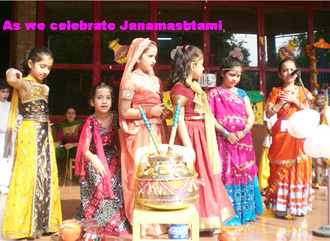 To create excitement in the classroom, students are encouraged to talking and using new vocabulary in the class room. Different subjects are intermingled to provide opportunities to teach skills in an interesting context. 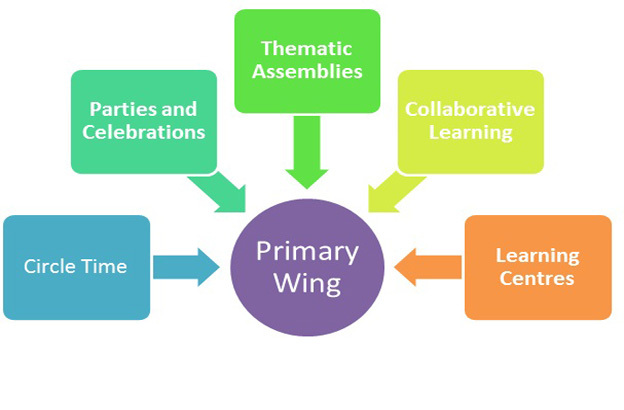 Learning centres are the well planned setups within the classrooms. 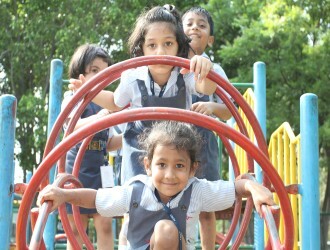 These include Literacy Language Centre, Science Centre, Maths Centre, Construction/Block Centre, Music Centre, Art and Craft Center and Reading Centre. 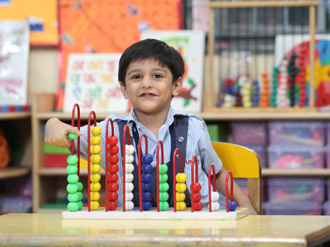 Each centre is equipped with the learning materials like Judo Gyan Kit, Montessori Apparatus, Abacus, Science Experiment Equipment and other materials related to different subjects and themes, which are used to further enhance the knowledge of the children.